Built for extreme gamers, the SAPPHIRE Radeon RX VEGA 64 graphics card packs the ultimate power of AMD’s VEGA architecture with revolutionary HBM2 memory. Get ready to experience a superior gaming experience with high resolution, high refresh rate, and enter the exhilarating virtual reality world that you’ve always dreamed of. 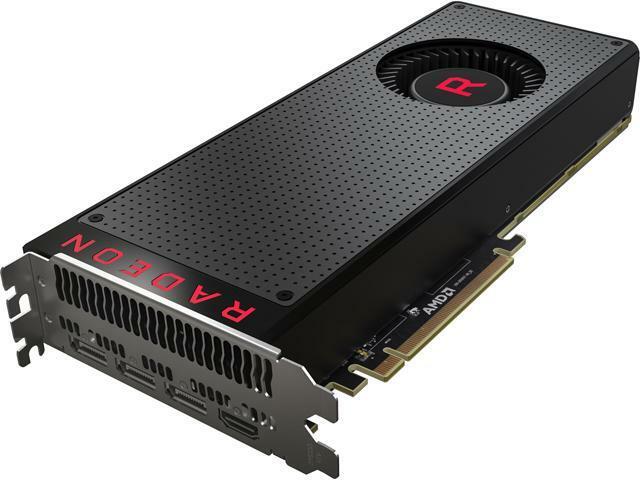 This card also comes with a load of AMD’s advanced technologies, such as FreeSync, LiquidVR and XConnect, to make your gaming experience even more enjoyable. DirectX 12 is a new, “console-like” graphics API from Microsoft that empowers game developers with more direct and obvious control of PC hardware. 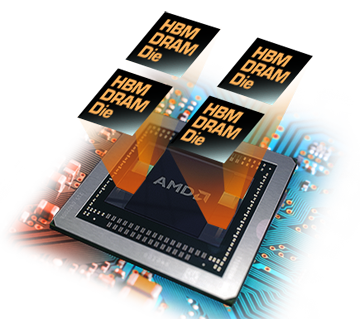 This direct or “explicit” control better exposes the hardware resources of AMD Radeon GPUs to yield higher hardware throughput and, ultimately, more performance for users. To put it simply: much more efficient hardware through smarter software! At the discretion of a game developer, this superior efficiency can be spent on higher framerates, lower latency (VR), lower power consumption, better image quality, or some calculated balance of all four. In any scenario, gamers stand to benefit greatly from choosing AMD hardware to run their favorite DirectX 12 game. 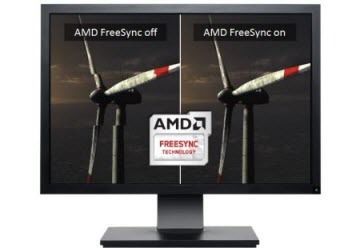 AMD FreeSync technology allows a compatible graphics card and monitor to dynamically change frame rates for the optimum display quality without tearing. FreeSync uses industry-standard DisplayPort Adaptive-Sync which eliminates screen tearing without all the usual lag and latency. Virtual Super Resolution (VSR) is an AMD feature that is game and engine agnostic to simulate Super-Sampling Anti-Aliasing (SSAA) in games that do not have native SSAA support. VSR can also be used in conjunction with other native in-game anti-aliasing for even more game graphics-setting control. VSR allows games to render at higher resolutions (up to 4K) and then rescales them down to a lower native display resolution. 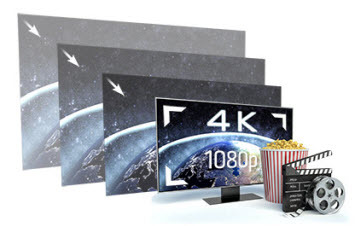 Using this, you can get quality that rivals up to 4K, even on a 1080p display while playing your favorite games. 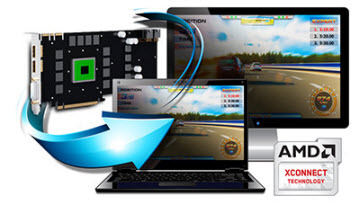 Take your PC games to the next level of reality and immersion. Most modern games look great on three screens, and only AMD Radeon graphics offer you the ability to play across five screens for an eye-popping gaming experience. Other combinations and configurations with up to six screens work too. I'm sick of the instability, I think the radeon drivers have gotten better but $400+ dollars on unstable hardware is too much, I hope AMD invests more into their graphics since their CPUs have been doing so well. I really wanted an all AMD build to work this time, but everytime I go with a radeon card I have problems. Pros: Amazing product. Easy set up and update. With a little tweaking this cards runs cooler with no penalty to performance. If you don't want to manually tune it, you can just click on the pre-defined settings that over clock or under volt. Cons: Fans can be noisy, but I play with headphones so I can't hear anything. Pros: Great performance for the price. Will always be an AMD fan boy though. Cons: Alittle loud, but if you game with headphones on you can't even notice the sound. Card needs lots of air to stay cool and if you adjust fan curves to prevent thermal throttling it will sound like a jet. Other Thoughts: I've had this card for months now and I've had no major issues and when I did have issues the latest driver updates fixed them. I run my card around 1600 core clock and 1000 memory clock and its completely stable in all games at about 71 Celsius but I do have the fan curve maxed out to maintain temperature. Pros: performs very well in my 1080p / 144hz rig. Cons: Vega's notorious GPU hotspot issue. Other Thoughts: If you are looking for a card to drop into your PC and play, Vega is not for you. it's a card for people who like to tinker and fine tune. I purchased $100 in aftermarket cooling (Morpheus 2 + Noctua fans). Core/HBM and noise dropped but the GPU hotspot issue remains. I wish AMD would acknowledge this issue and speak about it. Cons: Will drain your wallet and time trying to get it to work. Other Thoughts: First let me start by saying I've built every computer I've ever owned. I dont know everything, but this should not be complicated. under load it freezes up and you have to reboot. So I bought an 850w PSU... and got the same results. I've tried every driver configuration I can think of and I have not been able to get any stability out of this card. So now I'm out $400 and still need to get my son a new card. Pros: Runs VR games great. Playing at 1080p, I've still got plenty of headroom. Plenty of FPS. 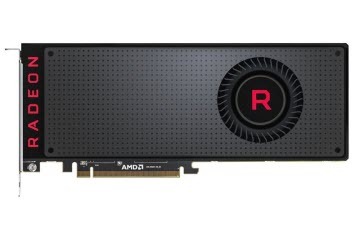 I'm still seeing Vega 56 for more than I paid this one. Other Thoughts: Undervolting and overclocking is the way to go. This card is still loud on demanding games, but I always play with headphones and don't really notice. It's a treat for VR gaming, throw all the mods you can at skyrim VR, supersample Lone Echo.